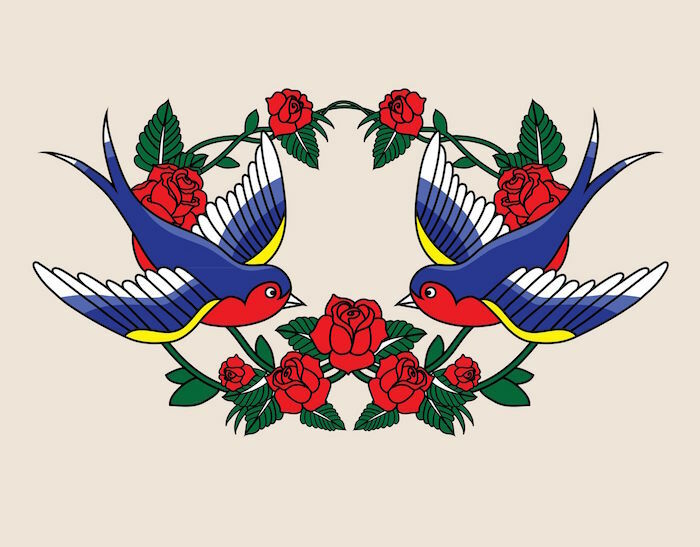 A swallow tattoo has an intriguing history dating back to the early days of sailing in the UK. 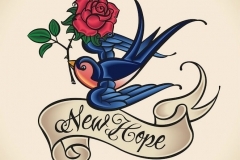 Although the meaning of the tattoo differed slightly, it always contained the message that the sailor would return home just as the swallows do. The number of swallows and placement of the swallow tattoo further enhanced its meaning. The original swallow tattoos were barn swallows in flight. In some circles, they represented the experience of the sailor with one swallow signifying the completion of 5,000 nautical miles, while two swallows indicating the sailor had completed 10,000 miles. 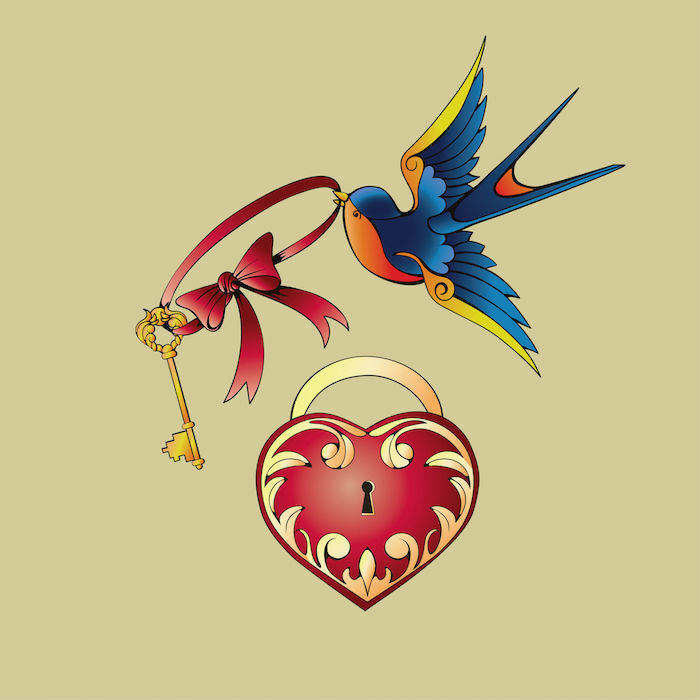 The swallow sailor tattoo was typically placed on the chest, hand or arm. 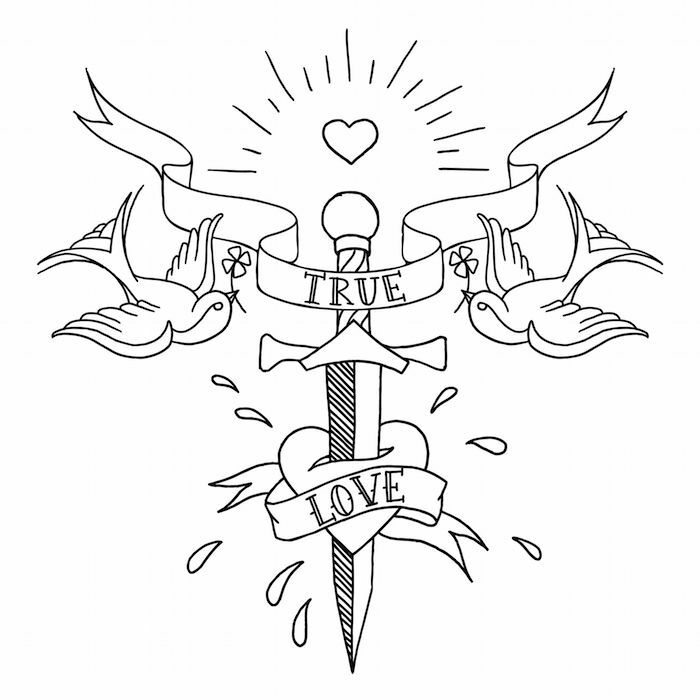 According to legend, a swallow tattoo guaranteed that the sailor would return home safely. Some even got a swallow tattoo when they set sail and had another swallow tattoo when they returned to their home port. Some believed that if the sailor drowned at sea the swallows would carry his soul to heaven. 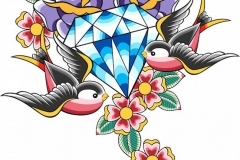 Modern swallow tattoos range from a simple outline, a silhouette of the bird in flight or intricate designs with detailed feathers in shades of blues or greens with orange or red splashes on the undersides of the bird. They may be combined with roses or other flowers, hearts, banners or slogans to further enhance their meaning. What does the Swallow Tattoo Mean? 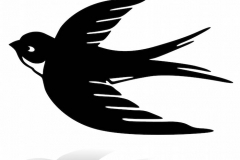 The symbolic meaning of a swallow tattoo changes according to the type of tattoo. 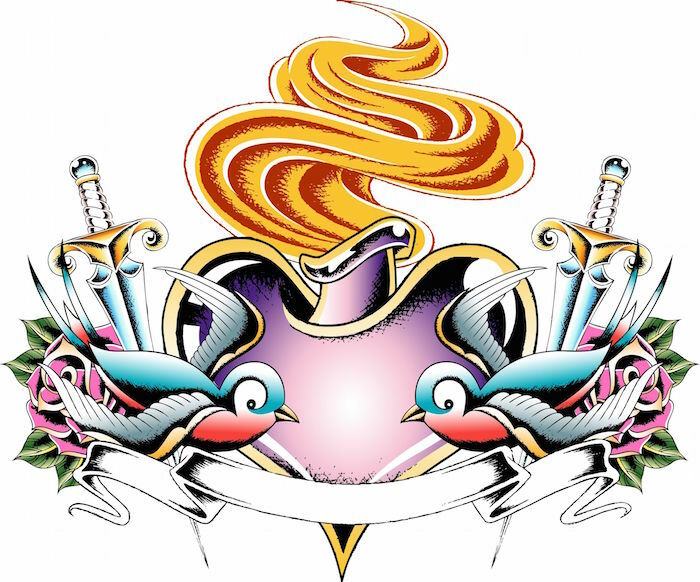 Swallow Fist Tattoos: These tattoos are typically worn by men and symbolize that the fists are quick to fly. They are a sign of a street fighter or one who is quick to defend those he loves and values. 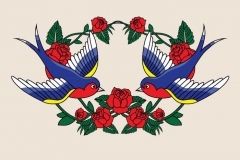 Colored Swallow Tattoos: Because swallows also represent triumph over adversity, they are sometimes used by survivors of specific diseases to signify their triumph over the disease. 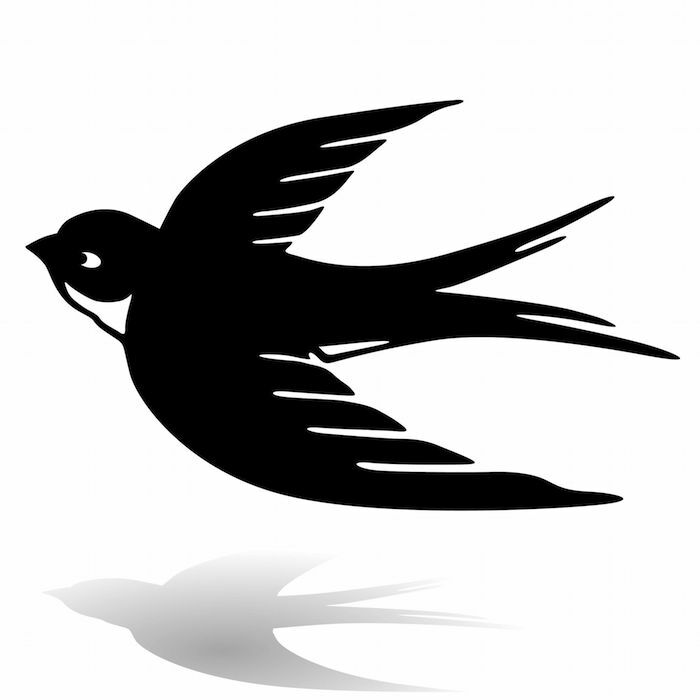 In this case, the swallow is depicted in the color of the disease awareness. For example, a pink swallow typically symbolizes the wearer is a survivor of breast cancer, while a lavender swallow represents a survivor of any form of cancer. They may also represent awareness of specific diseases or conditions that affect the lives of the wearer. 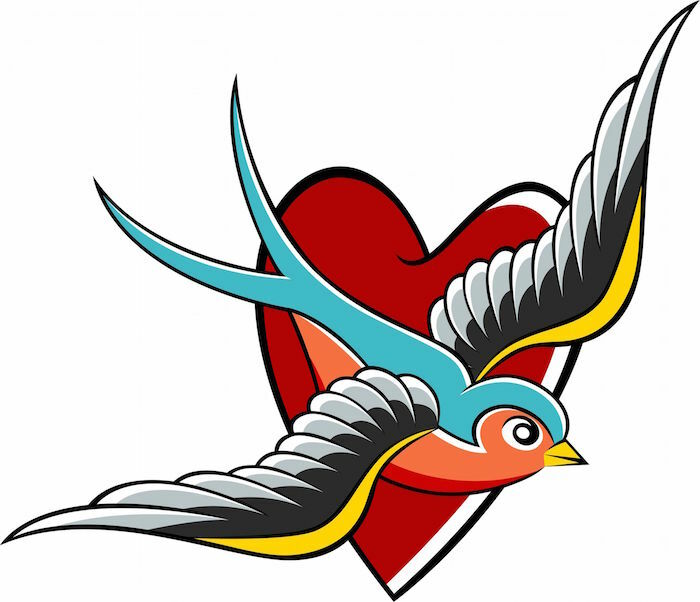 Wrist Swallow Tattoos: This small bird tattoo is often worn by women and typically represents love for family, loyalty, freedom from an affliction, rebirth or overcoming adversity. 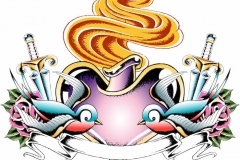 Combination Swallow Tattoos: These swallow tattoos are part of larger design that may include a wide variety of symbols and images. They are commonly combined with natural items, such as flowers and foliage and may contain hearts and slogans. The bird tattoo may show a swallow in flight, either from the upper or underside of the bird tattoo, or it may depict the bird at rest. 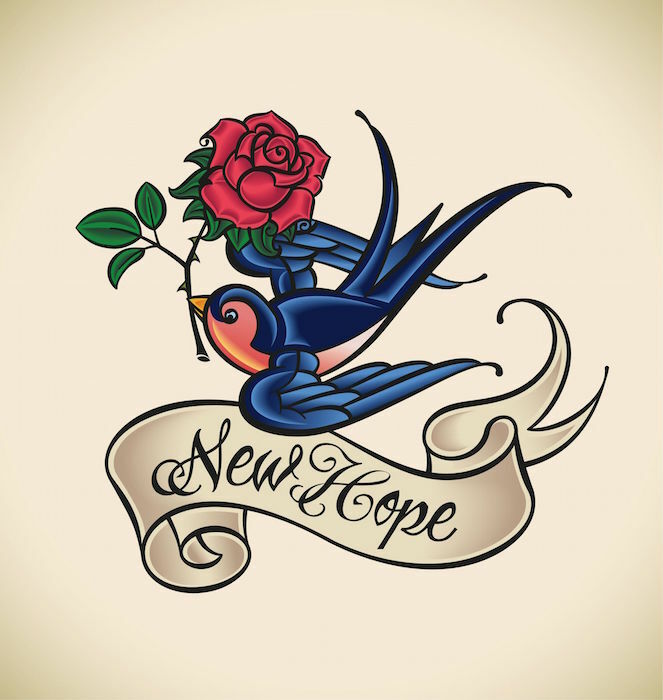 The interpretation of the tattoo depends on the combination of elements and the colors used, but generally sends an uplifting and positive message. 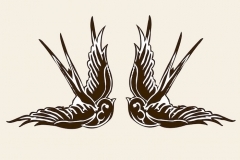 Flying Bird Tattoos: The swallow, like any other traditional bird tattoo, such as the dove and sparrow, can range in size and presentation. 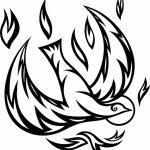 Typically, the flying bird tattoo represents freedom or overcoming a difficult time. In the case of the swallow, a bird in flight often symbolizes the habit of swallows of returning home even after a long journey. 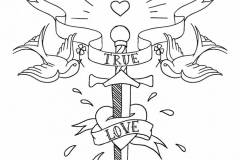 How do Swallow and Sparrow Tattoos Differ? 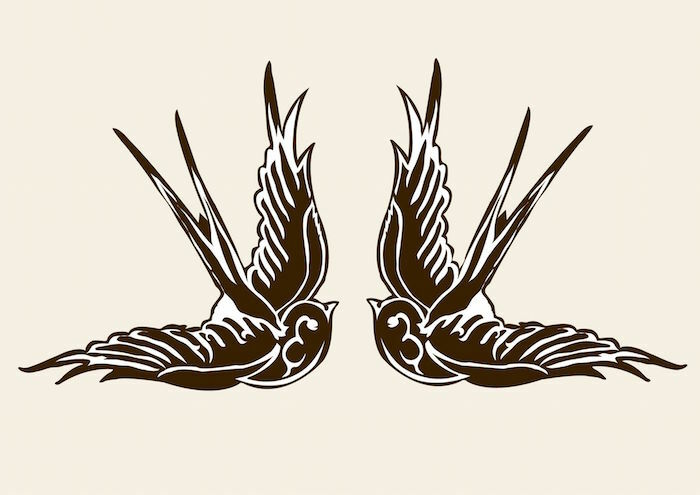 Both the swallow and the sparrow can represent freedom, undying love or commitment to one person or loyalty, but the sparrow tattoo traditionally represented the mafia and is generally worn on the arm. The swallow has a forked tail with long curved wings and is generally portrayed in shades of blue or green, while the sparrow is a plump, brown bird with a short rather stout tail. The best placement for a swallow tattoo depends on the size of the tattoo and whether you desire to show off your tattoo to the world. Small bird tattoos can be placed on the wrist, hand, foot or shoulder while larger tattoos are better suited for the chest or back. For men who wish to announce their fighting prowess, the tattoo is best placed on the back of the hand or fist. Swallow tattoos are often beautiful with shades of blue, green and some variation of red, orange or peach highlighting the underside of the bird. 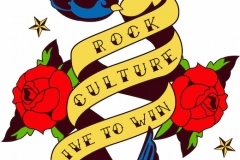 They send an uplifting and positive message, the exception, of course, are sailor’s tattoos and those designed to represent fighting prowess. People who choose swallow tattoos are generally loyal and loving and wish to express those traits. 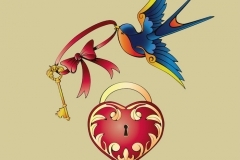 They are often committed to one person and choose the swallow to symbolize that as the swallow mates for life. 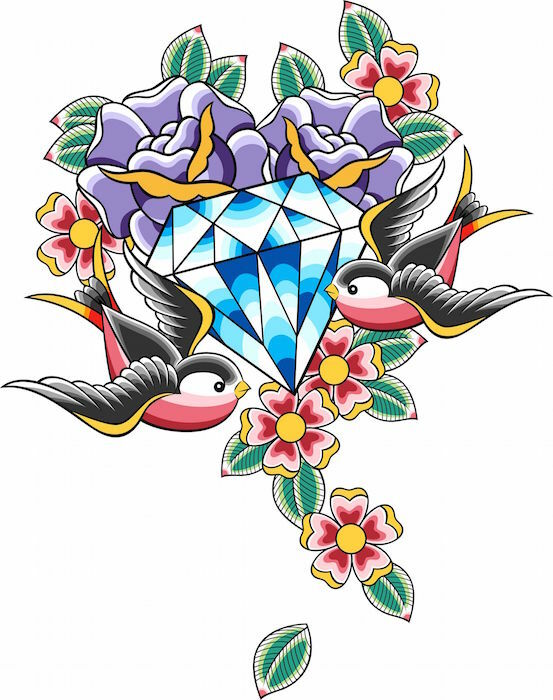 Swallow tattoos are appropriate for both men and women and can symbolize triumph, love and devotion, or rebirth. As such they give off a positive air and are likely to be viewed by others as uplifting and beautiful. These tattoos are typically tasteful and are readily accepted by the general public. 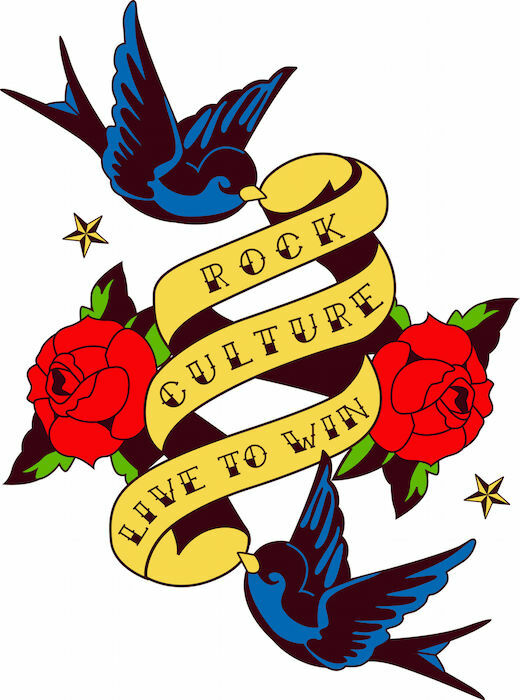 Swallow tattoos representing fighting prowess may be viewed less positively and may hinder work and business opportunities in some social settings.